Word Trail is an engaging word board game. 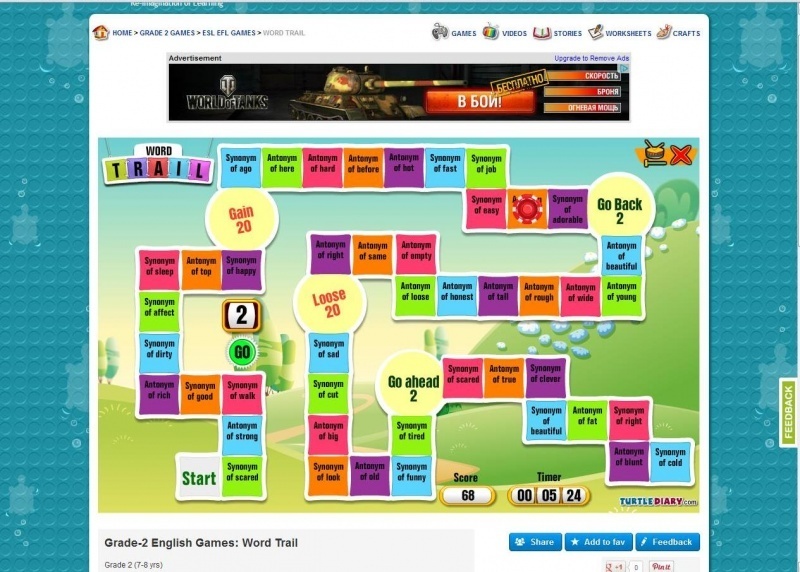 This challenging game is designed to build and reinforce English vocabulary in kids. Kids will have fun as they move across the board and test their knowledge of synonyms or words with similar meaning and antonyms or words with opposite meaning. This game is a great way to help kids practice and improve their English language vocabulary skills. На сайте много других игр для детей, но они довольны просты, так как предназначены для младшего возраста. Рома, ты идёшь на олимпиаду по русскому, не так ли? Давай напишем клаСС.